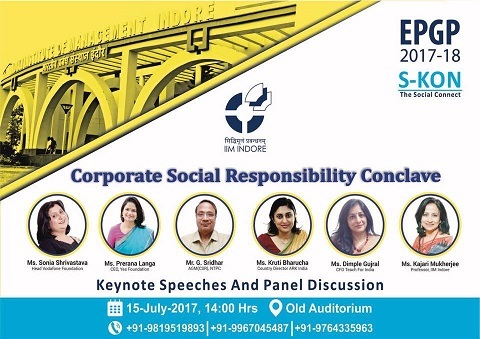 The Executive Post Graduate Programme in Management (EPGP) Batch 2017-18 conducted the Corporate Social Responsibility (CSR) Conclave at IIM Indore on July 15, 2017. The objective of the conclave was to assimilate and analyze social responsibility initiatives carried out by the private and public sector and debate the effects on Indian society. The conclave witnessed five astounding keynote addresses by various experts from diverse sectors and an interactive panel discussion. 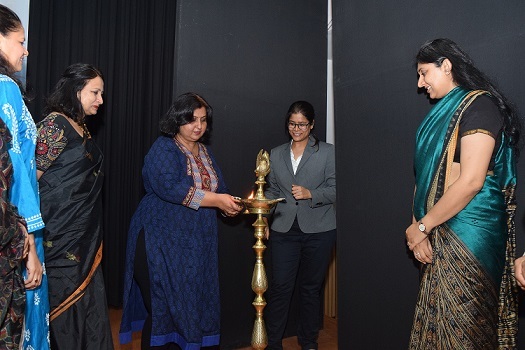 The conclave began with the lamp lighting ceremony by all the guests present, along with Professor Ashish Sadh, Faculty, IIM Indore and Chair, EPGP. Professor Kamal K. Jain, Dean (Academic) then gave the welcome address and appreciated the efforts of the EPGP participants in organizing the event. He also welcomed all the guests present and advised the participants to learn as much as possible from the knowledgeable speakers. 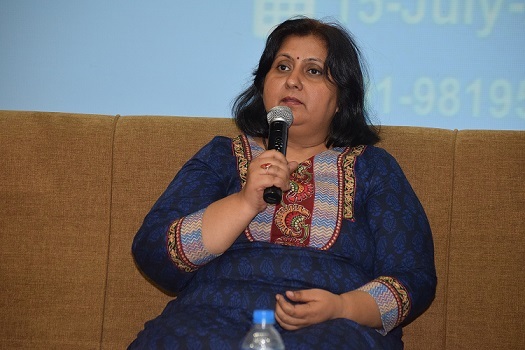 The first keynote address was by Ms. Sonia Shrivastava, Head, Vodafone Foundation. She spoke on the topic—‘Connecting For Good’, a Vodafone initiative. She noted how mobile technology can be leveraged for the social welfare with various apps like Hello English, Croplens, etc. She concluded her talk discussing about how technology has brought about a change in the society and how it can further be used for social welfare. 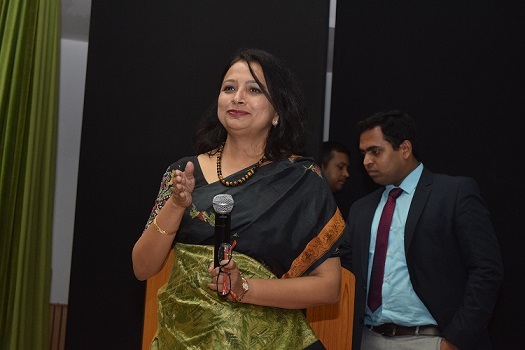 The second keynote speech was by Ms. Prerana Langa, CEO, Yes Foundation. 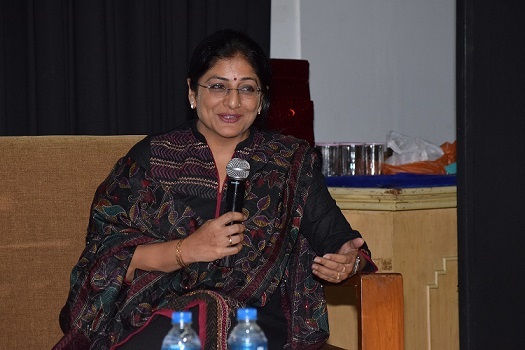 Her talk revolved around the Yes Foundation’s initiative—‘ Yes! I am the Change’ and examples of persons who are bringing change in the society via their campaigns. Sharing a video of Pratima Devi, fondly known as Amma, Ms. Langa mentioned how Amma takes care of dozens of stray dogs with her meager earnings. She also discussed various challenges faced by Amma and how she overcame those. She also quoted an example of Leena Kejriwal, who is working on the ‘Missing Girls Campaign’ and mentioned that everyday around 8 girls go missing in the country. 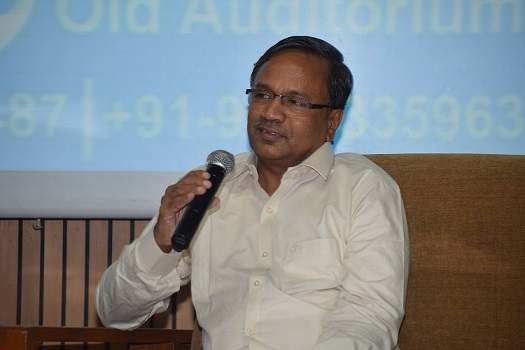 The conclave also witnessed a talk on the topic ‘CSR from PSU Perspective’ by Mr. G. Sridhar, AGM, CSR, NTPC. He discussed about the challenges of CSR and noted how important it is to educate the people in the rural areas. ‘We can focus on skill development of the young in rural areas, but the major challenge lies in providing them the opportunities for employment while they move to towns’, he said. He then also discussed about the work done by NTPC in the fields of infrastructure, healthcare and education. 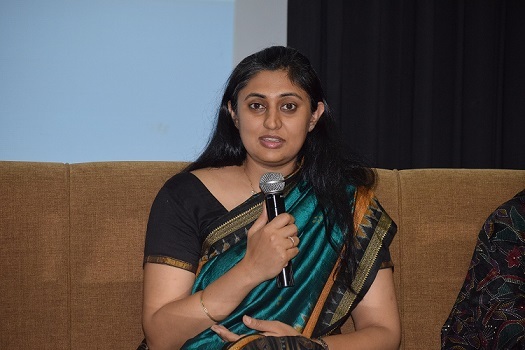 The second half of the event began with another keynote address by Ms. Kruti Bharucha, Country Director, ARK India on the topic—‘Using Public Private Partnerships to Revitalize Government Schools’. She discussed about the PPP model to revitalize government schools and the challenges in making a trade –off between scale and quality of government schools. 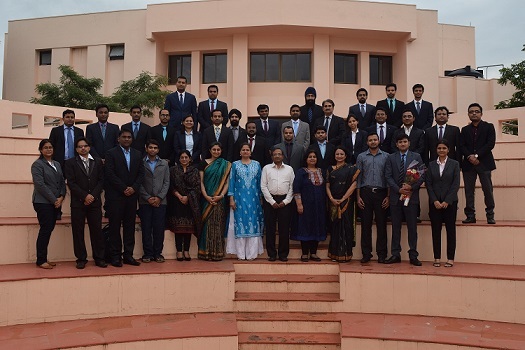 The last talk was on the topic—‘CSR—Hunt for a Definition’ conducted by Ms. Kajari Mukherjee, Faculty, IIM Indore. Her talk revolved around various definitions of CSR in developed and developing countries. She also discussed about the Pyramid of Social Responsibilities. The most interactive session of the conclave was a panel discussion with Professor Kajari Mukherjee as the moderator and Ms. Dimple Gujral, CFO, Teach for India; Ms.Sonia Shrivastava, Ms. Prerana Langa, Mr. G. Sridhar and Ms. Kruti Bharucha as the panelists. 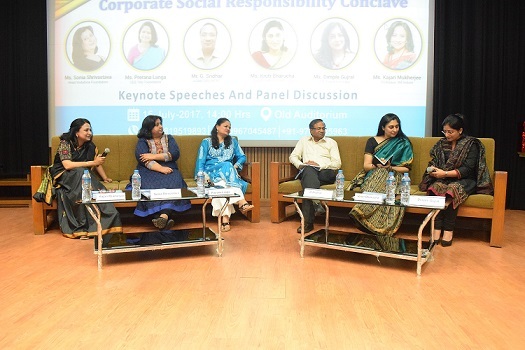 The topic of panel discussion was ‘Mandatory Corporate Social Responsibility in India’. The panelists discussed about how corporate sectors should work on niche areas where they can have a core competence and work in a better manner. 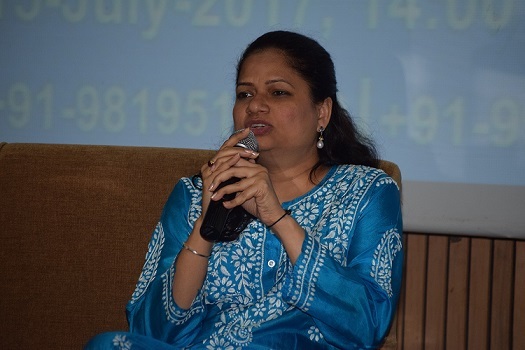 Noting that the CSR sector has now started attracting the brightest mind of the country recently, they also mentioned about Company Act 2013 (Section 135) and noted that this social law works on the power of shame and might soon be adopted by other countries. The panel discussion came to an end with the panelists sharing their views on how the CSR sector today has brought change in the employment as well. The conclave concluded with the vote of thanks. 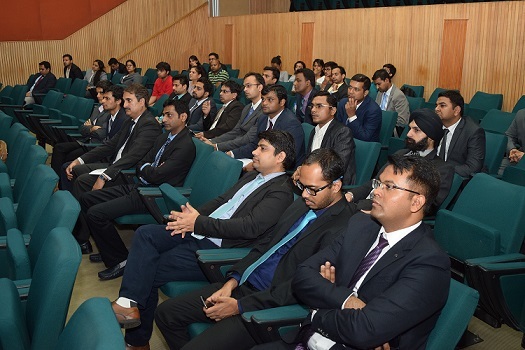 All the delegates appreciated the efforts put by the EPGP participants and noted that such events not only help the participants remain connected to the society but also enhance their management skills for organizing big events.